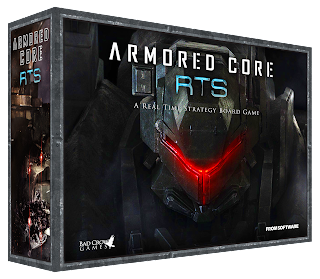 Armored Core RTS is a Real Time Strategy Board Game—based on the popular video game—where players pilot mechs, fire weapons, activate equipment and direct support troops simultaneously. This is achieved by incorporated a variety of mechanics including an LED pointer built into each miniatures' base to provide instantaneous line of sight. Armored Core plays 2-4 players—expandable to 6—and each campaign last for about 20 min. During each campaign players are trying to achieve objectives to earn rewards so they can upgrade their mechs and ultimately become "Ravens". 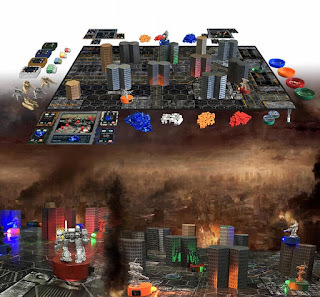 There is also a cooperative play expansion that will be available as a Kickstarter exclusive. Armored Core has been in development since 2014—by Bad Crow Games based out of Utah—and is currently seeking funding on Kickstarter.com. The Kickstarter campaign ends August 13, 2016 and is expected to be delivered July of 2017. 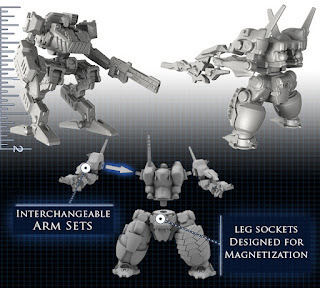 Check out Armored Core on Kickstarter and consider backing today!